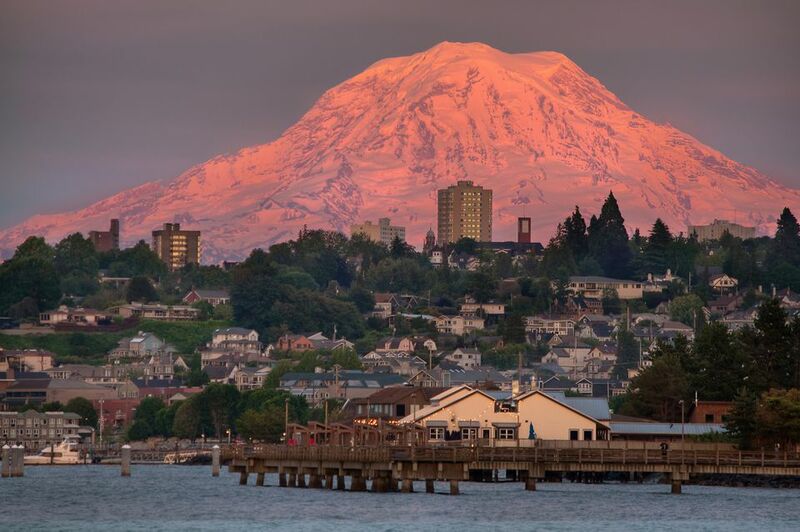 Tacoma and other South Sound cities have had their fair share of attention from Hollywood. Much like Seattle, Tacoma has played host to movies big and small—sometimes overlapping with Seattle when it comes to films like 10 Things I Hate About You and Hand That Rocks the Cradle. And while (more often than not) movies trying to pass themselves off as Seattle or Tacoma are actually filmed in Vancouver BC, that doesn't mean they all are. Read on for a list of movies filmed in T-Town! 10 Things I Hate About You was filmed at some very cool locations in Seattle and Tacoma, including some that gained some well-deserved screen time. Where many movies flock to Seattle icons like the Seattle Center and Pike Place Market, 10 Things highlights lesser known (at least outside of the area) hot spots. Stadium High School in Tacoma's Stadium District was used as the high school in the film. With its castle-like exterior, fabulous Sound views, and unique stadium bowl, Stadium High is also a historic structure worth stopping by. The facility is a school, but after hours, you can wander the exterior grounds and peer through a fence into the Stadium Bowl. A private residence was converted into the home used in the film. This house is located at 2715 North Junett Street in Tacoma and both the interior and exterior of the home were used. When characters Kat and Patrick go on a date, they visit all kinds of spots around Seattle, including the famous Fremont Troll under the Aurora Bridge, and Gas Works Park (2101 N Northlake Way). Other Seattle spots that make appearances include Buckaroo Tavern (4021 Fremont Avenue N); Century Ballroom (915 E Pine); Fremont Place Book Company (621 N 35th Street); Kerry Park (211 W Highland Drive); and Paramount Theatre (911 Pine Street). Like 10 Things, Hand that Rocks the Cradle bounces between Seattle and Tacoma locations, but is mainly set in Tacoma at the fictional Bartell family home—808 N Yakima Avenue, a house in Tacoma’s North End near the Stadium District. The greenhouse built in the film is still in the home’s yard. Unusually, the character Michael Bartell actually gives the home’s real address in a phone call in the movie. Yakima Avenue is also used for exterior shots of Peyton walking with the baby and Solomon riding on his bike. Some scenes in the park are at Wright Park, just down the street from 808 N Yakima. Some scenes are set in Seattle, including when the Claire visits Dr. and Mrs. Mott’s home, which is at 2502 37th Avenue W. Claire works in a greenhouse in the film, and these scenes are set in Volunteer Park’s greenhouse. Other interior spaces used in Seattle include the meeting room where Peyton meets with lawyers at 1501 4th Avenue, a dry cleaner formerly located at 3501 Fremont Avenue N, and University Library at 5009 Roosevelt Way NE. While most may not know about this quirky little movie, I Love You to Death showcases some quintessentially Tacoma sites. One of the most prominent is the historic Bostwick Building located on 7th and Broadway in Tacoma’s Antique Row. The building serves as Kevin Kline’s pizzeria and apartment building. Bob’s Java Jive (2102 South Tacoma Way) is a coffee pot-shaped coffee stand that makes an appearance, as do the Elks Building (565 Broadway), the family home (424 North C Street), Holy Rosary Church (512 S 30th Street), and the Stadium Bowl at Stadium High School. Stephen King’s Rose Red was a made-for-TV movie shot in Seattle and Tacoma. Some Seattle locations include Ivar’s Acres of Clams at Pier 54, the Dome Room at the Arctic Building (700 3rd Avenue), Pioneer Square, Magnusson Park (6500 Sand Point Way NE), Elliott Bay Book Company (101 S Main Street). But the best part of Rose Red is that a good portion of the movie was filmed at the unique Thornewood Castle (8601 N Thorne Lane SW, Lakewood), a 500-year-old manor house transported from England to this site in 1908. This film about fugitives kicks off as one of the main characters leaves McNeil Island Prison, which is just offshore from Steilacoom, the ferry dock at Steilacoom, Tacoma’s Old City Hall (702 Commerce Street), and there are a few drive-by scenes on East D Street, North Broadway, and on Highway 7 near Elbe.